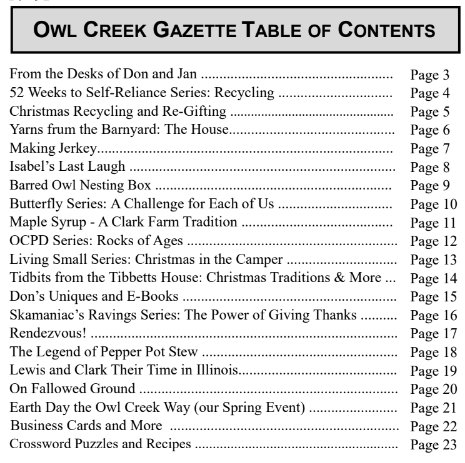 Owl Creek Gazette: The DECEMBER ISSUE of the OCG is Ready to Read In Print and Online! 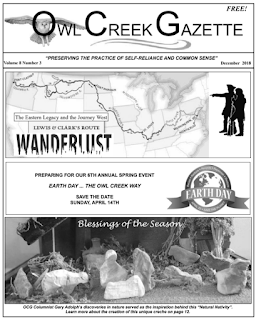 The DECEMBER ISSUE of the OCG is Ready to Read In Print and Online! 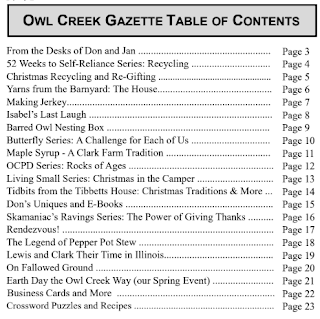 We invite you to check out the December 2018 issue of the Owl Creek Gazette via our Current Issue page ... with a nod to the Holidays, Frontiersmen (like Lewis and Clark), our upcoming Earth Day, the Owl Creek Way festivities and so much more!